Welcome to the Sock Hop! It’s Be-Bop-A Blog Hop WEDNESDAY, Daddy-O for September 28th! There are so many unique and special blogs out there and we all need followers! This blog hop is your chance to link up and meet some great new folks hosting some outstanding blogs. THIS LINKY WILL BE LIVE EVERY WEDNESDAY THROUGH THURSDAY! There's only ONE rule required to participate in this blog hop and that's the Golden Rule. "Follow unto others as you should have them follow unto you". In other words, if someone follows you, be nice and make sure you do the same in return. That's what this hop is all about, after all. Of course, as your host, I would also appreciate a follow. I promise to personally follow every person that joins this hop! So, shake a leg and LET'S GET HOPPING! 7 Responses to Welcome to the Sock Hop! 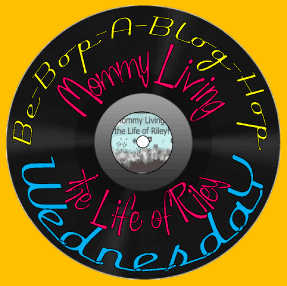 It’s Be-Bop-A Blog Hop WEDNESDAY, Daddy-O for September 28th! i just found you over at random deals blog hop library! thanks so much! Blog Hop really amaze me. I want to join but I’m really scared to be dumped. Hey Sugar! Found your blog hop and am so happy I did. It’s cute–the catchy title makes me smile. I’m your newest follower. Stop by and say hi when you can…I’d love it! Thanks so much for the hop. I really appreciate it and hope you have a great evening! Ellen, too bad that i missed it. Thanks for giving the site. I think you have chosen a great path. Good luck with all your plans. As for the digital memory book program thanks for the review it sounds great. Howdy Pardner! It’s Stick ‘Em Up Friday for September 23rd ~ List All Your Giveaways Here!